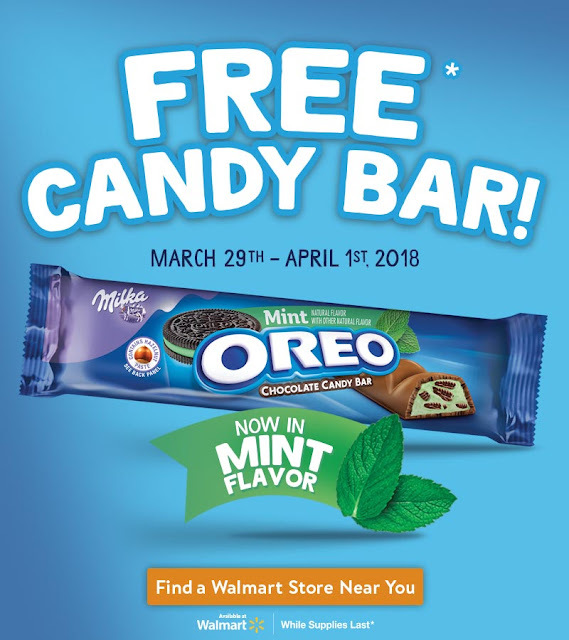 While you are in store at Walmart picking up your $1 Rollback OREO chocolate candy bars, be sure to look and see if your store has the demo going on for the 1 Million Sample giveaway. During Easter weekend* participating Walmart stores are giving away these bars while supplies last. *March 29 - April 1.